Public Schools in the Houston Region based on the Texas Education Agency's school listings. 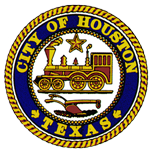 City of Houston Office of Business Opportunity's database of registered Small, Minority, and Women Disadvantaged Business Enterprises (SMWDBE) within the City. Parking citations issued by the City of Houston's Parking Management Divsion. See resources for more information and details.